Pinas Bay (Bahia de Piñas) is the southeastern portion of Panama in the Darién region located on the Pacific coast only about 35 miles from the border of Colombia. 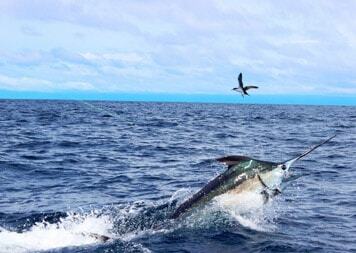 It has excellent big game fishing and is frequented by avid saltwater fishermen. There is a topographic feature named after the famous adventure writer Zane Grey. 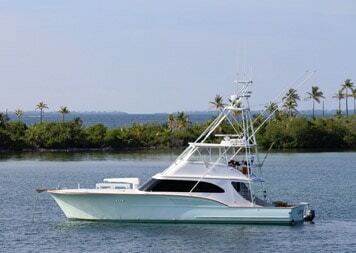 The Zane Grey Reef is famous for playing host to large fish: Black Marlin; Blue Marlin; Sailfish; Swordfish; Yellowfin Tuna; Cubera Snapper; Grouper and many others. 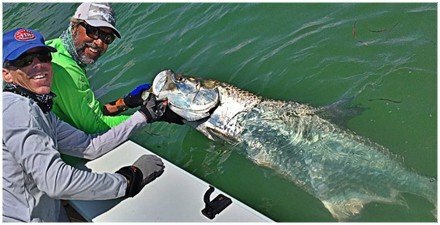 There have been over two hundred big-game fishing world records set around Pinas Bay which is more than anywhere else on planet! In addition to fishing, Pinas Bay is also an area of unspoiled natural beauty and culturally interesting. If you like jungle there are wonderful rivers to be explored by one of the flats boats. The Darien Jungle is also very hard to reach by road, so many things have escaped change and development. If coming to Pinas Bay we often add variety with some time at the Pearl Islands but we can spend all week at Pinas depending on your preference. Just let us know what you want to experience and we will customize your Pinas Bay trip for you. Coiba Island is located off the southern coast of Panama. It has been mostly untouched for hundreds of years, which is why in 1992, Panama made it a National Park. Fishing and overnight anchorage require permits that have to be purchased in advance from the Park Authorities. There are hundreds of beautiful, isolated beaches to explore. Coiba is one of the last places in the world to see large numbers of Scarlet Macaws, rare Coiba Island Howler Monkeys, as well as over 760 species of fish. The Smithsonian Tropical Research Institute has proclaimed Coiba an unparalleled destination for discovering new species, and UNESCO has declared Coiba National Park a World Heritage Site. This area is famous for scuba diving, surfing, and for big game fishing. The nearby Hannibal Bank and the southern-most islands are renowned to saltwater fishermen worldwide, whilst the rest of the Gulf of Chiriqui is teeming with game fish species that put up an exciting battle. Bocas del Toro is in northwest Panama located on the Caribbean and in close proximity to the Costa Rica border. With 9 main islands, 50 cays and about 200 tiny islets, there is plenty to discover. Bocas is a quaint and colorful Caribbean town with several charming restaurants. Many of the local residents speak English which help tourists feel comfortable and relaxed while walking around town. There are many activities for adventure seekers, such as world famous surfing, fishing, snorkeling, scuba diving, kayaking, and paddle-boarding. The Panama Canal is one of the great marvels of the world. The history began over 100 years ago in August 1914 when the first ship sailed through the massive locks which opened up Panama to global commerce. The recent canal expansion project will allow even larger vessels to cross from ocean to ocean adding to Panama’s economic growth. As a ship travels through the Panama Canal, glimpses of jungle life abound! 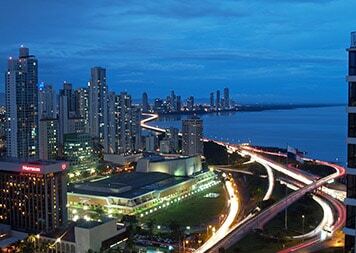 Experience a luxury trip through the Panama Canal. The Pearl Islands are located south of the southern Panama shoreline. It offers a unique wildlife opportunity which allows the nature enthusiast to view whale breaching, bird watching, as well as discover underwater worlds. 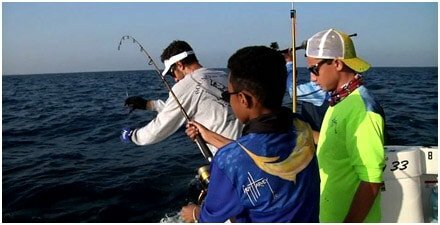 The sport fishing in this region is world-renowned, with Blue Marlin, Black Marlin, Striped Marlin, Sailfish, and Swordfish migrating at different times of the year. 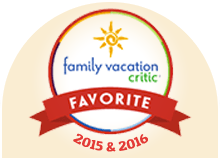 About 40 miles away from Panama City, the Pearl Islands are a convenient destination for a quick get-away. 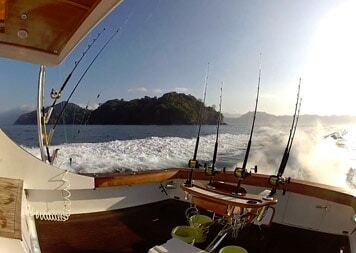 Charter the fleet or any of the boats for a trip to the Pearl Islands from Panama City. The San Blas Islands are located in the Guna Yala (or Kuna Yala) Province. This region of north-eastern Panama has 378 island but only 49 are inhabited. The indigenous Guna people control this area of Panama and have extremely strict environmental and conservation laws which prohibit development. This focus preserves their way of life and contributes to the pristine waters and abundance of life surrounding the islands! The Gunas are known around the world for their colorful hand-sewn Molas. These textile works of art take months to complete and usually tell a story of Kuna life using geometric patterns.